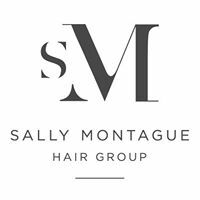 Sally Montague Hair and Spa is a group of six salons throughout Derbyshire. Established since 1983 the business has grown from one salon on Friagate in Derby city centre to an independent group which we believe offers the best hairdressing experience in the east midlands. The company has now evolved to offer a vast range of hair and spa services, as well as offering the finest professional products. As a L’Oreal Portfolio salon we have been recognised for our creativity and expertise in the field of professional hairdressing. Our comprehensive training methods ensure that our team are experts in creating your personalised image. Our Artistic Team represent the company each season at London Fashion Week bringing catwalk trends back to the salon whilst offering impeccable service and attention to detail. From working on the L’Oreal Professionnel International trend collections to styling hair for Vogue photo-shoots, our knowledge of the whole industry is second to none, offering a wide range of technical services to create your desired look. Welcome to Our World…. Opened in May 2013, our newest salon is housed on Sadler Gate in the heart of Derby city centre. The salon, which relocated from our former Iron Gate location also in Derby, opened to coincide with the anniversary of our first salon opening on Friar Gate in 1983. Now housed in the heart of the vibrant and pedestrianised shopping street in Derby’s Cathedral Quarter and extended over three floors, the 1,800 sq ft space enjoyed a six-month transformation that re-configured the characterful Grade II listed building to suit our salon needs. A stone, grey and plaster pink colour scheme complements the brick and wood tones, adding natural warmth to the interior. Styling stations, retail space and reception and hair spa areas each boast their own lighting, while exposed brickwork, which has been sealed for originality, truly complements the reclaimed and antique furnishings.The team is managed by the Sally Montague Art Team Colour Specialist, Lizzie Fox, and includes all members of our former Iron Gate team, who would love to welcome you into their new hairdressing home. Please call 01332 203 302 to make an appointment.